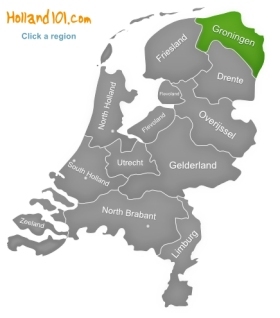 Groningen is a rather rural region, and the main city of Groningen is also called Groningen! One thing you need to know about Groningen is that it is not exactly one of the richest, fanciest and most exciting region of Holland – but it does have an interesting history, and if you need to learn more about the heritage and history of this particular region, then one good thing about it is that you won't have to look farther than the city of Groningen itself (if you had to look somewhere else, then the search for information would most likely become a little complicated). The good thing about Groningen is that English is widely spoken (and you'll also run into plenty Germans, especially when you go and visit some of the markets), and that you shouldn't run into any problems with transportation and communication. 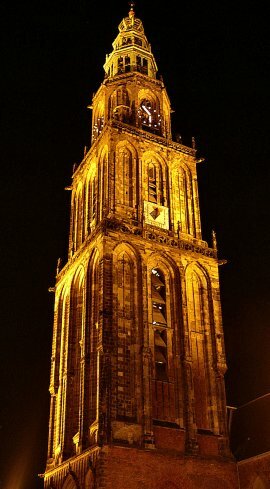 Groningen is the capital of the Groningen region and is home to around 200,000 people of which many are students. The city was founded in the year 950 AD, and as it was founded next to a Roman camp site, you can imagine that you will find quite a few examples of Roman history in the area around Groningen. The Groringer Museum would be a good place to start ifyou would like to admire some of the architecture in Groningen. However, the museum itself is only interesting if you like contemporary art. 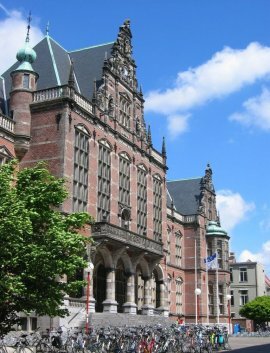 If you would like to learn more about the history of Groningen itself, then you need to head to other places in Groningen. 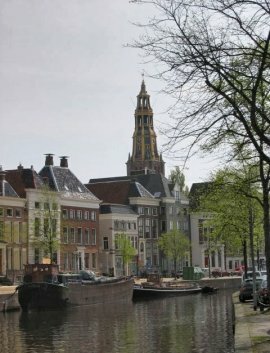 The Het Noordelijk museum is great for people who would like to know more about the history of water transport, and what kind of role it played. Unfortunately, the history only goes to the 1970s and doesn't focus much on the modern importance of water. Another unique museum is the university museum (called Universiteitsmuseum). It's hard to predict what you will get to see in the museum because the exhibitions always change, but once you go upstairs, you'll get to see a strange and often unusual collection of various things like anatomical specimens and taxidermy. If you like strange and unpredictable museums, then you definitely should check this little gem out. A walk along the canal of Groningen is also a nice idea! Not far from Groningen, you can find the Bourtange fortress, whose layout can only be truly enjoyed from an elevated viewpoint. The fortress was built in 1593, and after having seen many battles in different wars, the fortress was transformed into a village in 1851. Today, Bourtange fortress with its interesting star-shaped layout is used as a museum. You can visit the soldiers' barracks, the officer houses, the gunpowder storage and you can also have a look at some scary looking instruments of torture. 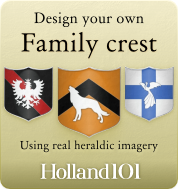 Guided tours are available if you would like to learn more about the heritage and history of Bourtange fortress and the surrounding region. The Het Hoogeland open-air museum in Warffum is a great place to see examples of so-called terps. Terps are man-made hillocks, and in the Het Hoogeland open-air museum in Warffum you can visit a village that shows how these terps were used. While there are other examples of terps and villages created in and around them, the Het Hoogeland open-air museum is the best place to really get an idea about this building style because the village is located in fields that haven't changed their looks for centuries and that would have been the original site for terps. Pieterburen is popular for two reasons: it's the starting point of the Pieterpad trail, which is the longest walking route in Holland (it ends in Maastricht), and it is the home to a seal sanctuary. This sanctuary has been active for over 40 years now and takes care of sick and stranded seals that are found in the area. The long-term goal is to release the seals back into the wild once the sanctuary is sure that the seals are back to full health and can tackle the journey to wherever they need to go. Pieterburen is also a great place to have a good look at the Wadden Sea. Every day, the sea recedes for a few hours and you can walk along the mudflats. If you don't feel like walking around in the mud, then you could head to the lovely Pieterburen botanical gardens – your feet won't get wet there.